People of all ages recognize the importance of plenty of water, rest and regular exercise and the importance of routine checkups and eating of a balanced diet. Maintaining a healthy mouth is also an important step to a healthier life. Regular preventive care is the best way to keep your mouth healthy and comfortable and to avoid dental and medical treatment. To find out how Dr. Ramin Tabib and Dr. Elisa Mello can help you maintain your teeth and gums, please call 212-452-3344 to arrange a visit with NYC Smile Design. Many people think having cavities is just a part of life, but it doesn't have to be. New research and new products offer the possibility of a future without tooth decay. We have a strong commitment to prevention. Teeth are meant to last a lifetime and we help our patients achieve this through the Caries Management Program, a preventative program designed for each of our patients. It is a systematic approach designed to recognize individual susceptibility, reduce bacteria and control other factors that cause dental caries. The CMP has been highly effective to minimize the risk of developing caries for our higher risk patients and has been successful in teaching other patients not at a high risk how to stay that way. The Caries Risk Test (CRT) is a simple test of the patient's saliva performed in the office to measure the levels of the streptococcus mutan and lactobacillus bacteria present in a patient's mouth and the salivary flow rate of the patient. These two bacteria have been implicated in the cause of dental decay. The best prevention is to assess the patient's bacterial levels and salivary flow rate prior to the patient developing caries. Therefore, this test is done at the first examination and also at recall visits for high risk patients since caries risk changes with stress, diet, medication, illness, saliva flow and pregnancy. We offer support in discovering what part of your diet may have in contributing to decay. Foods that contain carbohydrates (sugars and starches) include soda, ice cream, candy, milk, cake, rice, fruits, vegetables and juices. You might be surprised at how little sugar it takes to act on bacteria that causes decay. And you might be surprised at some of the foods that contain sugar. Bacteria interact with the deposits left on teeth from sugars and starchy foods to produce acids. The acids change tooth enamel over time by dissolving or demineralizing the mineral structure of teeth leading to decay and weakened teeth. The frequency and time of day you ingest carbohydrates can also be a factor. Each person is different and we want to help you make good choices based on your needs and wants. Most of the decay we see in adults is a result of the breakdown of old fillings. But it is possible to break the cycle of patch and repair. Our office uses a Caries Detecting Solution to enhance the removal of carious tooth prior to placing a restoration. And, because the area around a restored portion of a tooth is a good breeding ground for bacteria, it is important these areas are kept especially clean and be made from the proper materials that facilitate the cleaning of this area. In this practice we will always recommend to you the best material to restore the tooth and prevent further breakdown. We are committed to reducing future dental breakdown and the protection of teeth from more aggressive forms of treatment with the use of sealants and preventive resin restorations. All pits and fissures (grooves in teeth) can harbor bacteria that may promote infection or reinfection. We seal them with a thin plastic film painted on the chewing surfaces of molars and premolars as a physical barrier to decay. Studies show that when properly placed sealants are 100% effective. Once intended only for use in children, we now find them to be highly effective in our adult patients. Daily home care is especially important before bedtime. We help teach our patients what is best for their particular situation. We want to help you develop a way of cleaning your teeth that fits with the way you live your life. There are a number of effective brushing techniques. We determine which one is best for you since tooth position and gum conditions vary. In general, a toothbrush head should be small, 1" x ½" for easy access with soft nylon bristles with round ends. Some brushes are too abrasive and wear down teeth. It is more important to brush 2x a day for 3-4 minutes than 5x a day for 1 minute. We recommend brushing at work by keeping a brush at your desk. If you brush with toothpaste in the morning and before going to bed, you don't need to use toothpaste at work: You can just brush with water and rinse before heading back to your desk. If you don't have a toothbrush, rinsing with water for 30 seconds-1 minute after lunch is also helpful. Getting the debris off teeth right away is important in stopping sugar snacks and starchy foods from turning into cavity causing sugars and acids. We will make a recommendation on which type of toothbrush, manual or ultrasonic is best for you and let you know how often they should be replaced given the condition of your mouth. Each year over 30,000 people in the United States are diagnosed with oral cancer. The disease kills more than 8000 Americans annually. As with many other types of cancer, oral lesions that are detected early offer a better chance for successful treatment, making oral cancer detection one more reason to visit your dentist regularly. We take the time to carefully evaluate the oral conditions present in your mouth and throat as well as your neck to screen for any abnormalities. We are able to take biopsies if necessary or to refer you to the appropriate specialist when needed. The #1 reason why people lose their teeth is undiagnosed periodontal disease. But, we know that 90% of all adults have periodontal (gum) disease of various levels. The disease begins without warning, and in early stages causes gums to become sore, bleed easily and contribute to bad breath. As it progresses, teeth loosen and separate; your bite changes and teeth are eventually lost. 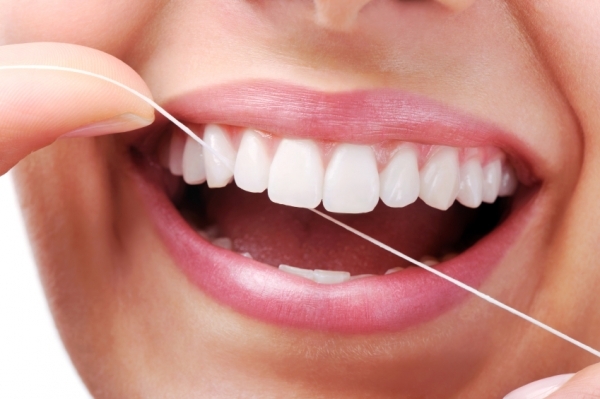 For this reason, we incorporate a careful regimen of gum evaluation into each visit. Our goal is to diagnose the progression of this disease and offer an opportunity for you to minimize bone loss and preserve your smile for a lifetime through our Periodontal Maintenance Program (PMP). The PMP is designed to create a custom regimen for your condition that will include treatment at the office as well as specific home care. This program is highly effective in the treatment as well as the prevention of periodontal disease. Pocket depth measurement of the space between your gums and teeth; smaller is better. Measurement of gum recession or overgrowth. Determine amount of inflammation present. This data is recorded into our computer charting system. At a glance, we can review data that shows the changes that have occurred between visits; maintained health, disease progression over time, and improvements in periodontal health as a result of treatment. One of the main benefits of the computer charting system is that it quickly and accurately gives us the information we need to tailor our treatment approach. To learn more about preventive dental care, please call 212-452-3344 or contact NYC Smile Design today. Our New York dentists can create a treatment plan specific to your oral health needs.